Those in Grades 6-12 are encouraged to participate. It's simple! 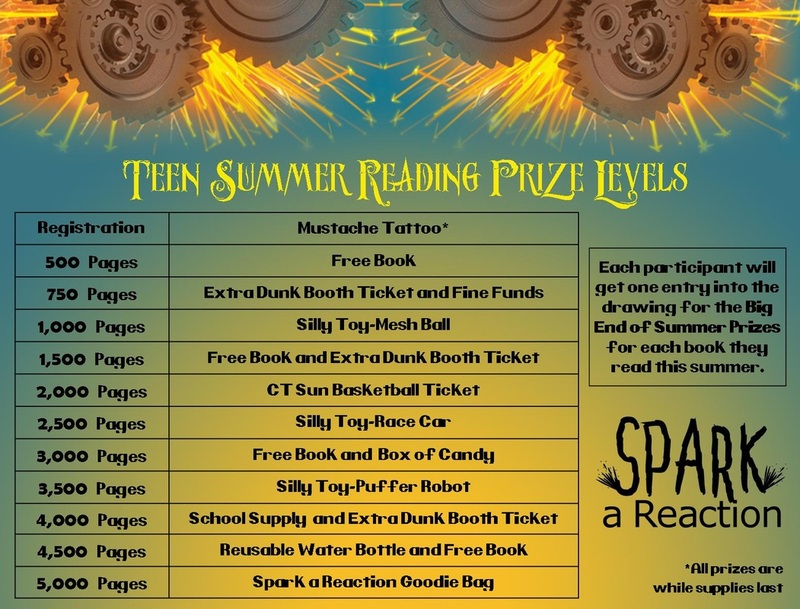 Read, log the pages you have read (use the link to the right) and then collect prizes! You can log all of your reading from home! And yes, the books you have to read for your school summer assignments count too! And no, they don't need to be library books to count. Special Mario Kart Tournament with Dinner provided by Husky Pizza. Sign Up for Text Message Alerts! You will be the first to know about upcoming events and program.